Authorized Distributor of Ideal Industries Products > Radar Inc. Ideal Industries is a maker of cable installation tools and supplies for electrical, data communications, manufacturing and industrial wire processing. 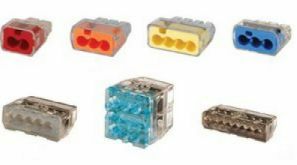 Products range from twist-on and push-on wire connectors, fish tapes and conduit benders to sophisticated electrical testers, datacomm equipment and ergonomically designed hand tools and products for paired conductor, coax and fiber optic cabling.